Did you know that something as simple as a morning sickness tea could help you stop your constant nausea? Finding the best morning sickness tea is going to help you do just that. 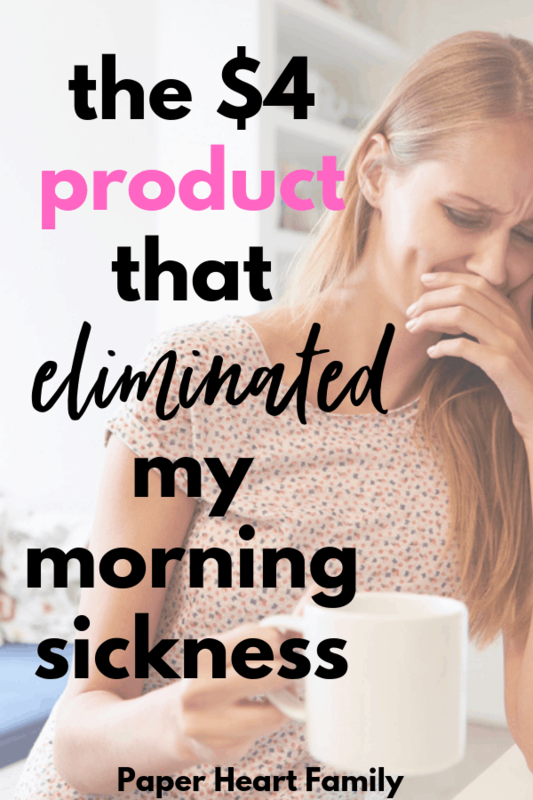 When I was pregnant with my first child, morning sickness made life so difficult. I was teaching middle school and I needed to be 100% there and engaged with my students. Because middle schoolers have no mercy. Middle schoolers especially have no mercy when they don’t even know that their lovely teacher is pregnant and constantly teetering on the edge between holding it together and completely giving in to the 24/7 nausea and curling up in a ball in the corner of the classroom. Actually though, weekday mornings were fine I found. Not weekend mornings, but for some reason I was able to make it through weekday mornings without feeling nauseous. It would hit around lunchtime and then I would suffer through my afternoon classes. It took me weeks before I figured out WHY I wasn’t nauseous on weekday mornings. At this point, I had never even heard of morning sickness teas. I was however drinking a pregnancy tea. Related: When Will I Start To Show? One day it hit me. THAT’S what I was doing differently on weekday mornings! I didn’t drink this tea on the weekend. From that point on, I drank my pregnancy tea RELIGIOUSLY with my breakfast, lunch and dinner. It worked amazingly. My nausea was gone, and I KNOW it was the tea because on the few occasions that I forgot to drink it, the nausea came back. It was a 5 dollar product that eliminated my nausea. I would have paid MUCH more for it (but I’m grateful that it is so inexpensive). The pregnancy tea that I drank isn’t even marketed for morning sickness, but it was a miracle for my nausea. This is the tea that I’ll talk about first. **Note- We are all different, and our bodies react to things differently. Just because one type of tea worked for me, doesn’t mean that every woman on the planet is going to have the same reaction. All of the teas found below have been proven (by real life moms) to help with pregnancy-induced nausea, but they might not work for everyone. My suggestion is to buy a couple to see what works for you. There’s no harm, and tea is very inexpensive so totally worth a shot! I am a huge fan of Yogi tea in general, which is what made me pick up this tea. It tastes amazing, and as I said above in case you scrolled past, THIS is the tea that eliminated my nausea completely (as long as I religiously drank it 3 times a day). Taste: Yogi Mother To Be Tea tastes naturally sweet, has a hint of mint and although it contains fennel, does not taste like fennel (thank goodness). Ingredients: Organic Raspberry Leaf, Organic Peppermint Leaf, Organic Stinging Nettle Leaf, Organic Spearmint Leaf, Organic Dandelion Root, Organic Fennel Seed, Organic Lemon Flavor, Organic Cardamom Pod. This tea contains raspberry leaf, which is believed to support a healthy pregnancy. Red raspberry leaves are high in vitamins and minerals, treats nausea, strengthens the uterus, prevents excessive bleeding after birth, and might even shorten labor. It also comes packaged in compostable tea bags. I love this option not only because it worked for me, but because it’s so versatile and is good for so many aspects of pregnancy and delivery. Pink Stork offers two different tea flavors: Ginger Peach and Ginger Orange. Along with relieving morning sickness, this tea also helps other issues with digestion, such as cramping, constipation and diarrhea. Pink Stork tea is organic, vegan, comes in biodegradable tea bags and is backed by the company’s happiness guarantee. I also love that this company was founded by a military spouse and mother of 5. Pink Stork Ginger Peach Tea contains: organic black tea, organic ginger and natural peach flavor. Pink Stork Ginger Orange Tea contains: organic rooibos, organic ginger and natural blood orange oil. This tea is light in flavor with tones of ginger and lemon. It’s very soothing and comforting for expecting mothers. Many moms claim that drinking this tea right before bed helped them to sleep due to the chamomile. Earth Mama Morning Wellness Tea contains: organic ginger root, organic spearmint leaf, organic chamomile flower, organic orange peel, organic lemon balm leaf and organic peppermint leaf. No To Morning Sickness Tea is a very popular and frequently talked about tea on BabyCenter forums. It relieves not only morning sickness, but other frequent negative symptoms of pregnancy including indigestion and constipation. It comes in many different flavors, including, Ginger, Lemon Ginger, Blood Orange, Peach and Ginger, Peppermint and Vanilla. Real moms have raved about this teas ability to not only take their nausea away but to also allow them to drink something without getting nauseous. If you are having difficulty drinking and staying hydrated during pregnancy, this is the tea for you. The founder of this tea is an amazing mother of three who started her company after she formulated Baby’s Magic Tea, a tea that helps relieve baby gas and colic and that had been used in her family for generations. This amazing company also offers a money-back guarantee. Oat Mama is a company founded by two mothers, Kristy and Eliza, who were frustrated by the lack of pregnancy and postpartum products designed to help mothers and expectant mothers. While they were pregnant and nursing, they found that pregnancy and breastfeeding was hard enough, and that moms deserve to have delicious drinks and snacks to support them. Real moms love the taste of this tea and how it really does eliminate pregnancy nausea. Quick! Buy one of these best morning sickness teas now and start feeling better soon. Good luck!